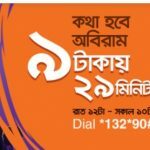 Banglalink 100MB 26Tk Rcharge Offer! 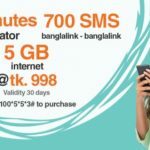 Banglalink customers are eligible Banglalink 100MB 26Tk Rcharge Offer with exciting validity.This offer is very special for all Banglalink all prepaid customers. If you enjoy this offer, just read this full article to get all more concepts about this offer. Because today I will share all more update information. Let’s start to do it. Banglalink only prepaid customers are eligible this offer. To active this offer, please recharge only Tk26. Validity this 100MB data in 7 days. Customers can use this data in the 2G/3G area network in 24 hours. To check your internet balance, customers need to dial USSD Code *124*50#. Your recharge Tk26 not be added in your main account balance. This offer will be run after the further notice. To know more info about Banglalink internet offer, call 111 or 01911304111. 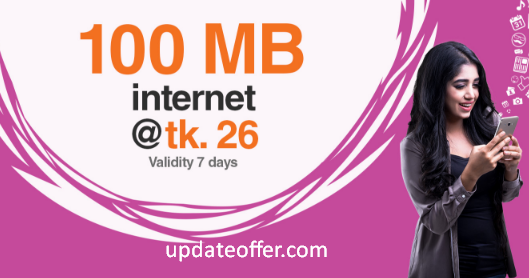 We hope you will be get all more update news about Banglalink 100MB 26Tk Rcharge Offer. If you want to know about Banglalink Bundle Offer, just stay with us and follow our site. Have you any question about this offer, please comments the box.We will try to best to solve your problem. Thanks all Banglalink users for stay with us.